I hosted a 70’s Abba “you can dance” wii party last Friday! I’m going to share the party and my game review on Friday (it was a BLAST!). And of course I had to make a cake, so today I’m going to share it with you! 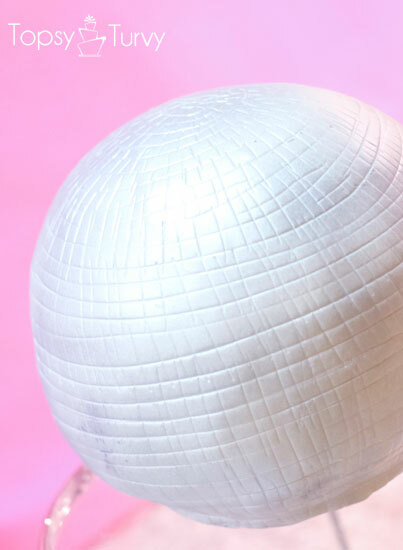 How I made my Disco ball cake! First put the two have circles together using ganache, place on a small cardboard cake circle and cover the cake with ganache! 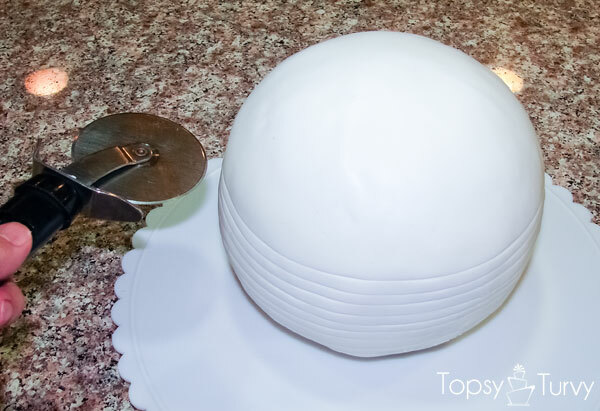 Cover the cake with white fondant (I like Satin Ice) and smooth it out. I placed the cake on a cake turn table and slowly spin it while pressing slightly into the cake with a pizza cutter. This will create your horizontal lines. 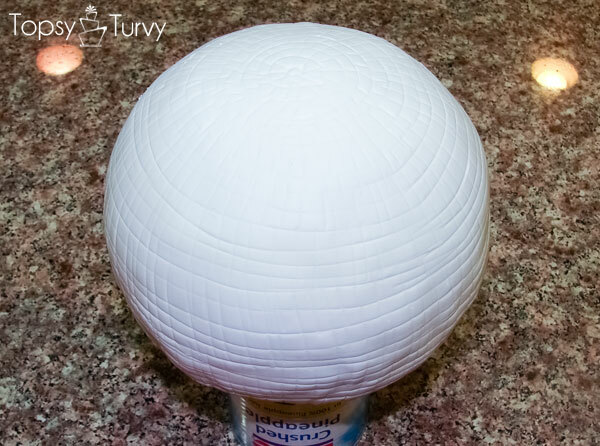 Be careful not to cut through the fondant and also don’t wait to long to do this so the fondant is sill soft and pliable. Then taking a small tool of some kind (anything with a point will work) press slightly into the fondant and pull down creating your vertical lines. I did 1 row of lines at a time on the top and as I moved down the sides started doing 2-3 rows. Yes please! Can I just have a cake any ol’ time? Yes, yes I can. And I choose a Disco Ball Cake! Thanks so much! It was a pretty quick cake too, which is always nice. It’s good to have a cute cake you can throw together! GAH! Just NOW catching up on comments from the last month! I totally saw that we posted our disco ball cakes on the same day! Totally crazy. I LOVE your cut out version, it must have taken SO long! But worth it, it looked great! I didn’t even THINK to do it that way. And the rollerskate turned out amazing too! This is such a great idea. I love it! 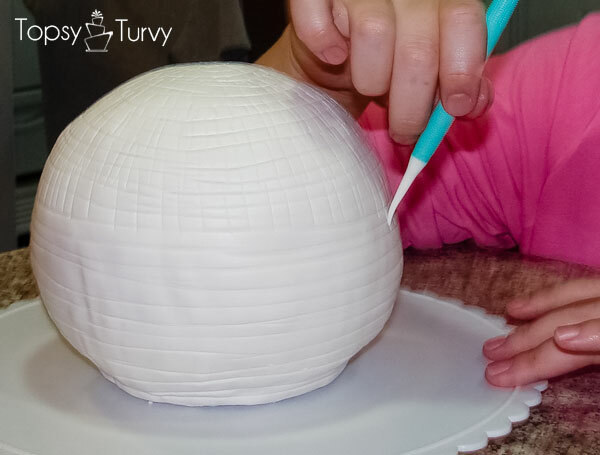 I am over visiting from Someday Crafts link party and am now your newest google follower 🙂 If you get a moment, I would love for you to check out my blog and follow back. thanks so much! I’m following you on facebook (they are getting rid of google friend connect I heard so that way I’ll be able to find you again! Thank you so much Allison!! I’m so glad you liked my cake!!! I drool every time you pull out your dremel! Oh, no! Thanks for letting me know. I just followed you on Facebook too! I love your cakes! I’ve been told that from multiple sources, but it hasn’t happened yet! I wonder if they’ll change their mind in the end. It’s kind of sad! This is cute. 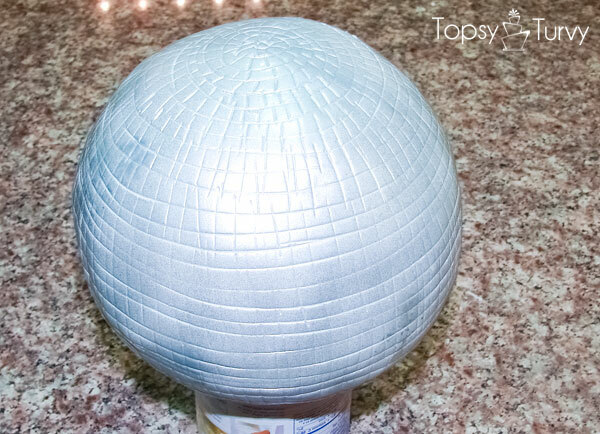 With some modification, could it be turned into a DeathStar cake? totally! Carve out a small circle, cover with fondant, make lines, paint in silver and add touches of black? 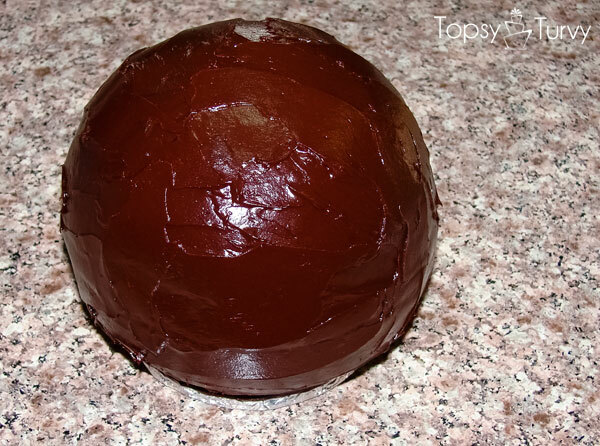 I use a wilton ball pan http://amzn.to/21CBeo5 for my round cakes. you can carve it yourself, but these pans are really very fast! how totally fun, what a great theme! Have fun!